In March of 2019, James Swenson was hired as an associate attorney with Mullen and Filippi. 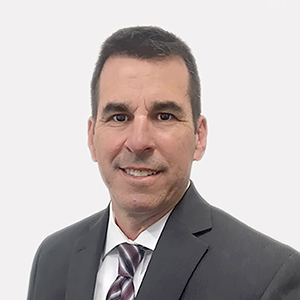 Before joining Mullen & Filippi, Jim worked for 15 years for private law firms, 3 years as staff counsel, and was a sole practitioner in civil litigation from 1995 to 2000. In 1998, Jim began representing Kaiser Permanente as a lien claimant in workers’ compensation cases. In 2001, he transitioned to defending self-insured employers, insurance companies and third-party administrators in workers’ compensation. After transitioning to defending employers, he realized his passion to mitigate undeserving benefits but also to assist in the delivery of benefits truly owed. Over the years, Jim has covered District Boards from San Diego to Redding. Additionally, his experience also includes litigation at the Third District Court of Appeals. Jim grew up in Southern California and graduated from University of California at Irvine with a degree in Social Ecology in 1985. During his undergraduate work, he interned at the Victim Witness Assistance program in Juvenile court. That experience sparked his desire to seek a legal career. After moving to Northern California, Jim attended and graduated from Lincoln Law School in 1990. In 2008, he obtained Certification as a Specialist in Workers’ Compensation. Jim is a member of the Sacramento County Bar Association as well as the State Bar of California. If I was not an attorney, I would have been a professional athlete, probably a golfer or stock car race driver on the NASCAR circuit. Unfortunately, I was not gifted with the skills to become either. I have learned to live my life following a quote from Maya Angelou: " Do the best you can until you know better. Then when you know better, do better."